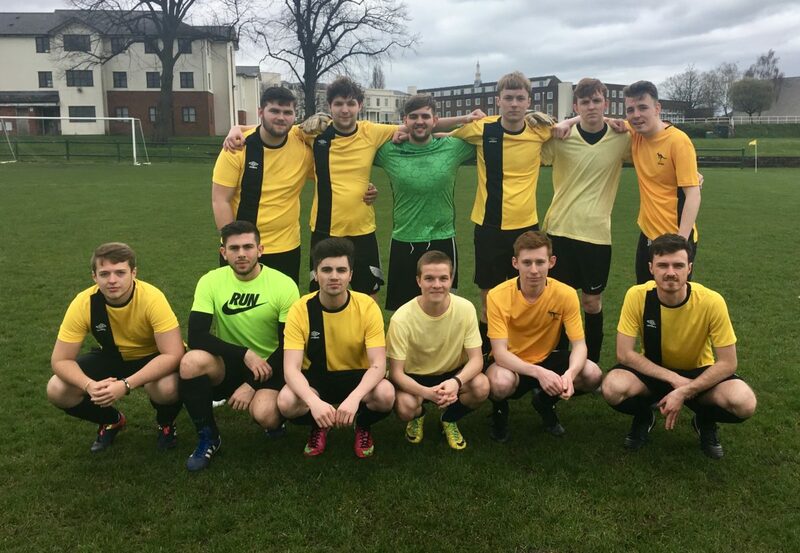 Level 3 stayed on course for a title hat-trick with a hard-earned 2-1 victory over Level 2 in the JMU Journalism World Cup semis. The pre-tournament favourites maintained their long unbeaten run, as Sam O’Hara’s double strike booked a third successive appearance in the final, where their opponents will be the sensational new kids on the block, Level 1. 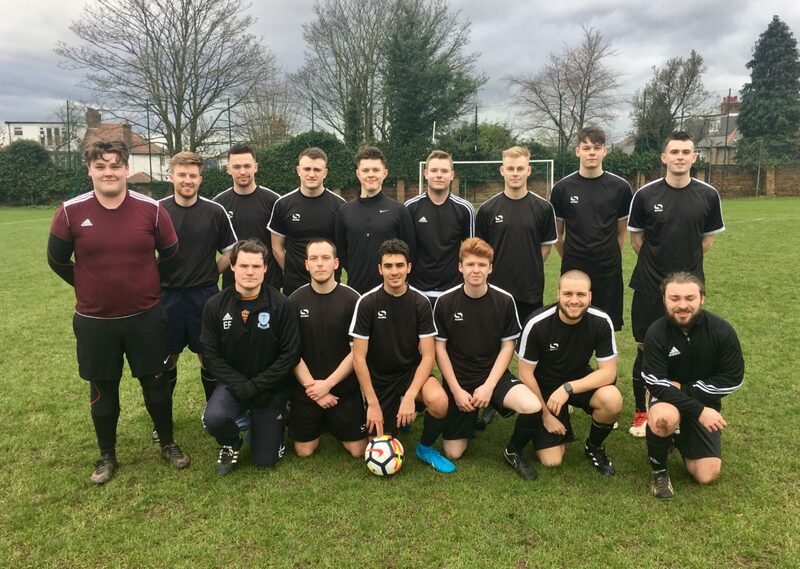 It was far from a vintage performance by the holders, however, and the second years showed how they can be contained, giving Level 3 their most difficult encounter to date. Undaunted by the reputation of the graduating class, Level 2 came out purposefully, and Tom Cameron spurned a glorious opportunity after getting himself into a great position only to shoot tamely and regret his miss. At the other end, Evan Fyfe’s corner was met firmly by O’Hara, though his angled header passed over the top. He was to later get his reward, although it was the Level 2 underdogs who broke the deadlock after 15 minutes. Lewis Rooke’s pass back to Level 3 goalkeeper Danny Moxon looked relatively harmless, but his sliced clearance was sent directly into the path of Finbar Curran, who maintained his composure well to steer the ball into the empty net. 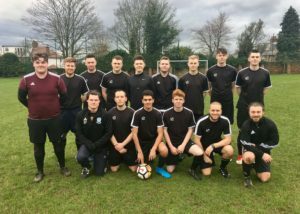 The match then settled into what would become a familiar theme, with Level 3 recovering from the early shock and refusing to panic as they stretched the second years with their skilful use of possession, grinding away at the opposition. As the rain intensified and swept across IM Marsh, Nantwich hitman O’Hara strode forward unchallenged and eventually levelled matters before the break with a firm and low curling shot. Level 2’s Jake Clarke-Royle was left standing by the equaliser, but he was up off his toes to tip over a Matt Ramirez effort in the first of a series of memorable saves. Ahead of him, Liam Plumbley had an excellent game at the heart of the Level 2 backline, but he was to feature in a controversial incident which was ultimately to prove decisive. Goalkeeper Clarke-Royle twice denied man-of-the-match O’Hara with superb stops as the pressure mounted and the second years appeared to be holding on for a shoot-out at 1-1, until referee Tim Abraham awarded Level 3 a debatable penalty after Plumbley’s handball with nine minutes left on the clock. 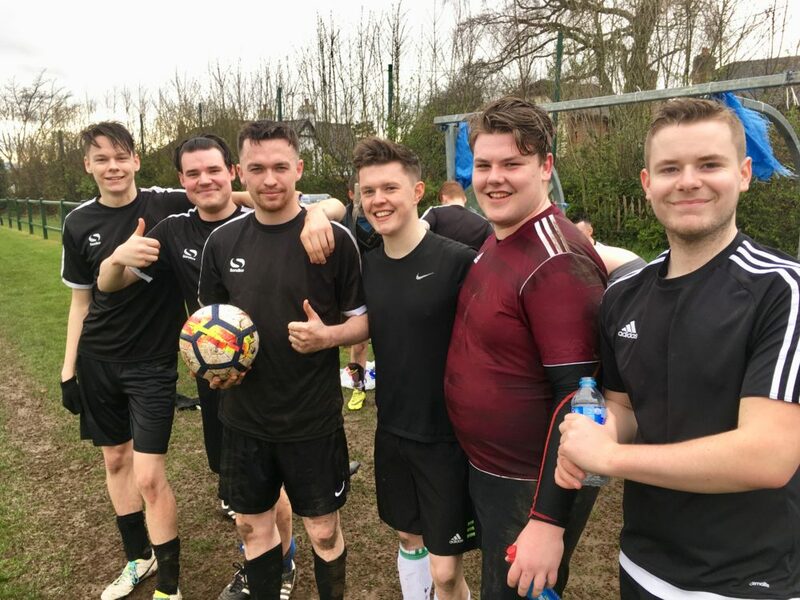 James Farrington stepped up to take the spot-kick, though once more Clarke-Royle was Level 2’s temporary saviour after blocking the attempt with his leg until O’Hara volleyed in the rebound to grab the winner. There was still time for the second years to fight back, and Joe Maude was unlucky to hit both posts late on, after his free-kick and a one-on-one chance stayed out. Indeed, Ross Crane’s men deserve every credit for the way they gave everyone’s front-runners such a scare, but captain Liam Keen will lead Level 3 into the final yet again, hoping Level 1 will not deny them a dream finish to their degrees.